The project planning template was created for drafting project plans and presenting them. 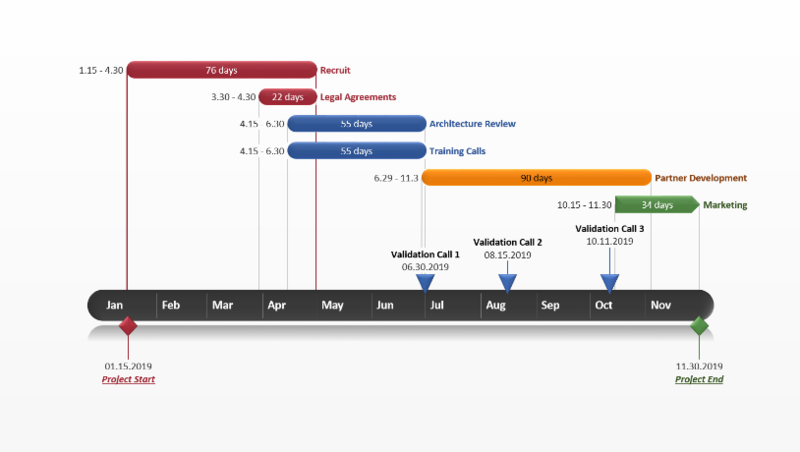 It quickly makes a professional looking project slide that can be used to for important communications and progress reports to stakeholders and team members. Project planning is the most essential job of anyone responsible for delivering a project. Transforming project plans into compelling visuals that are professional, refreshing to look at and easy to understand will help anyone managing a project communicate it. The exercise of project planning includes defining the key milestones and tasks required to complete a project. 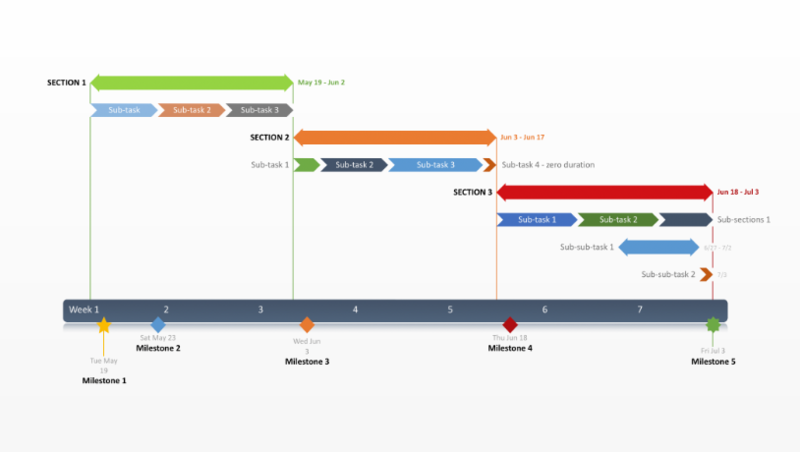 This project planning template helps you breakdown an entire project workload into the smaller tasks that must be accomplished. It also helps you identify the critical milestones of your plan. The project planning template can be used for planning and scheduling exercises, in proposals, project reviews and scorecards. It was created as a PowerPoint slide so it is easy for teams to jointly work on a plan that is simple to present and easy for them to manage after the plan has been developed. For example this slide can be repeatedly updated by any PowerPoint user, as the plan changes over time. 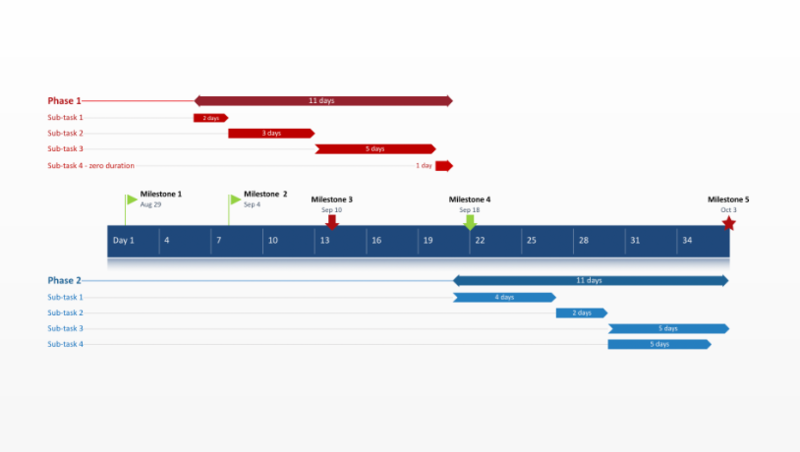 The template was created with a PowerPoint project planning add-in from Office Timeline. You can download the project planning template and update it by replacing the template’s place holders with your project plan. 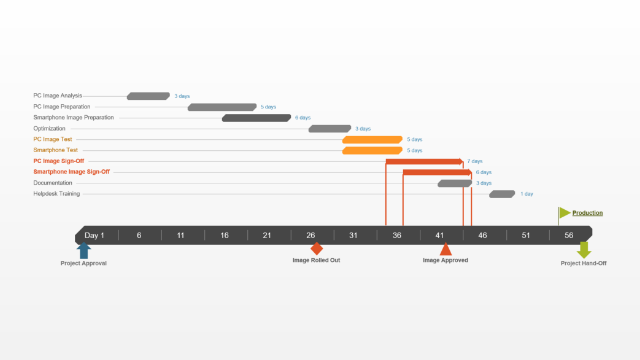 Or, you can use the free project planner add-in from Office Timeline to automatically update it in a few clicks. 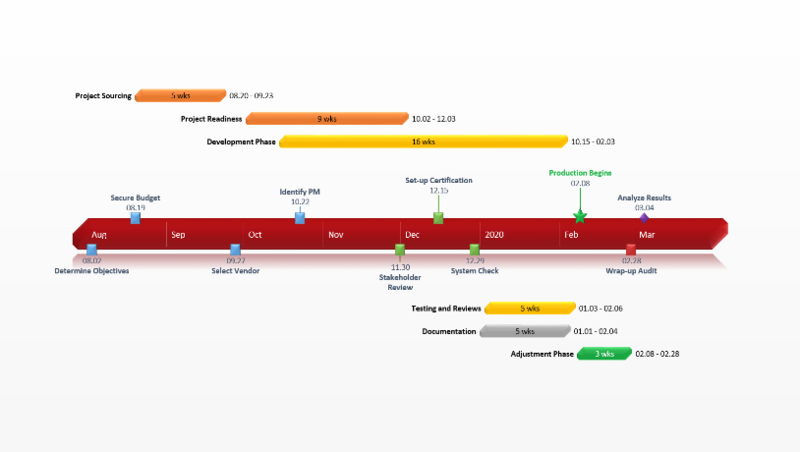 Office Timeline Plus integrates with other project management tools such as Microsoft Project. With the Office Timeline Plus add-in, you can import data directly from your project management application and into PowerPoint. The add-in will instantly turn your existing project data into an impressive project planning slide for important communications and presentations.